Did you know that Abraham Lincoln used to run a bar, and he is a "T-Coater." Did you know that Peter Cullen voices both Eyore and Optimus Prime? Did you know that the Octopus has 2 legs and 6 arms? And the plural for octopus is not "Octopi," but actually Octopodes? Or Octopuses. Did you know Lego wasn't the first brick build theme to ever release? 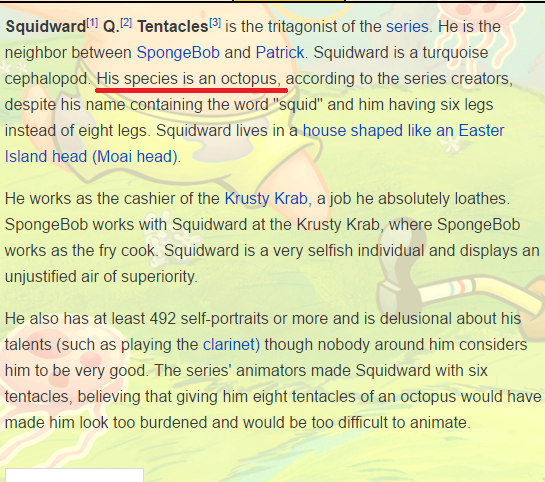 So Squidward is tetchily had 2 arms and 4 legs. I'm not surprised, but that's interesting. Not even a single drop of lava touched Pompeii during the eruption of Mount Vesuvius way back when that happened. There was only hot dust. Also, Mount Vesuvius before that eruption wasn't even a mount, just a large hill, and the crater was completely covered by dirt and rock. I wonder which is worse..
Did you know that I would post this? Is Squidward a squid or an octopus? Did you know, according to all known laws of aviation, there is no way a bee should be able to fly. Its wings are too small to get its fat little body off the ground. The bee, of course, flies anyway because bees don't care what humans think is impossible. Did you know that Caesar Salad originated in Tijuana, Mexico? "The salad's creation is generally attributed to restaurateur Caesar Cardini, an Italian immigrant who operated restaurants in Mexico and the United States. Cardini was living in San Diego but also working in Tijuana where he avoided the restrictions of Prohibition. His daughter Rosa (1928–2003) recounted that her father invented the dish when a Fourth of July 1924 rush depleted the kitchen's supplies. Cardini made do with what he had, adding the dramatic flair of the table-side tossing "by the chef." A number of Cardini's staff have said that they invented the dish." Bonus: the alcoholic beverage known as a Caesar originated in Calgary, Alberta, Canada. Did you know that music is good for your health. Your brain releases dopamine when you listen to music that you love. So if you are a fan of Justin Bieber (I have no idea why though), listening to his music could be good for your mental state and making you feel happy. It's also why EDM has taken off in recent years, because a lot of people can dance and have a good time to to the music. So remember kids, Justin Bieber can do good after all, but only as long as he is locked in a studio room to record songs. Did you know that every transformation in the Transformers movies is done by hand and no two are alike? Did you know that Hockey is widely considered to be the first sport to have numbers on its jerseys? 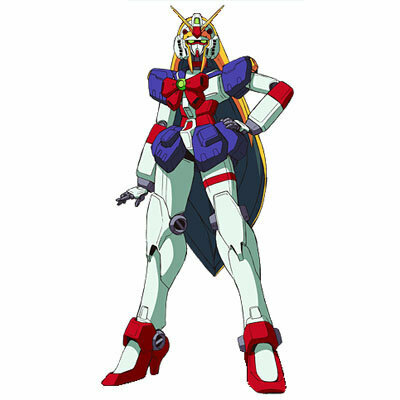 Did you know that Japan was weird?